Once the darling of the Left, British journalist Melanie Phillips was “mugged by reality” to become a controversial champion of national and cultural identity. 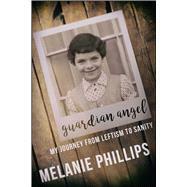 Melanie Phillips is a British journalist, author, and broadcaster. She is the author of Londonistan, The World Turned Upside Down, and The Legacy. In 1996, she won the Orwell Prize for journalism.